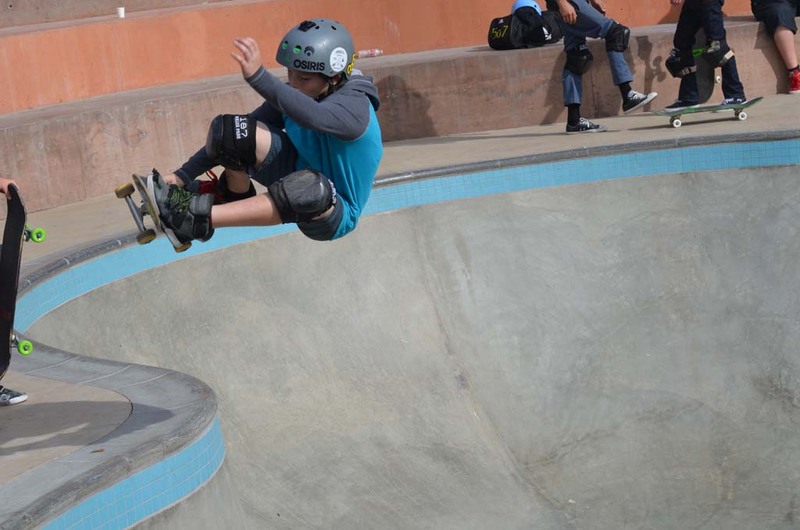 ENCINITAS—With little fanfare, Encinitas staked its support of an assembly bill that would expand a requirement for riders of all types of vehicles at skate parks, as opposed to only skateboarders. The council approved three legislative position letters at Wednesday’s Council meeting, one of which was support for Assembly Bill 1146. Authored by Assemblyman Brian Jones, R-Santee, the bill expands the requirements outlined under Health and Safety Code 115800, which currently indirectly mentions nonmotorized bicycles, scooters, in-line skates, roller skates, or wheelchairs. The new bill explicitly requires riders of those vehicles to wear safety gear at skate parks. Encinitas has had its fair share of issues recently with the issue of safety equipment at its new skate facility at the Encinitas Community Park. Sheriff’s deputies recently began citing skate park visitors who did not don the safety gear, causing an outcry among the skateboarding community, which said that most cities don’t enforce as vigorously as Encinitas. Skateboarders took to message boards to complain about the enforcement, saying that deputies should spend their time dealing with more important public safety issues rather than ticketing helmetless skateboarders. In addition to supporting Jones’ bill, the city has come out against an assembly bill that would prohibit local governments from charging transient occupancy taxes on short-term vacation rentals. Assembly Bill 1220, authored by Assemblyman Matthew Harper, R-Huntington Beach, would hurt Encinitas more so than its coastal neighbors, the position letter states. The city also has staked opposition to State Senator Carol Liu’s “Right to Rest” Act, which, if approved, would decriminalize homeless people’s use of public spaces to rest, accept food from passersby or park their recreational vehicle with approval from the property owner. The council approved the positions on its consent agenda, which is voted on without discussion unless a council member of someone from the public requests the item be discussed.